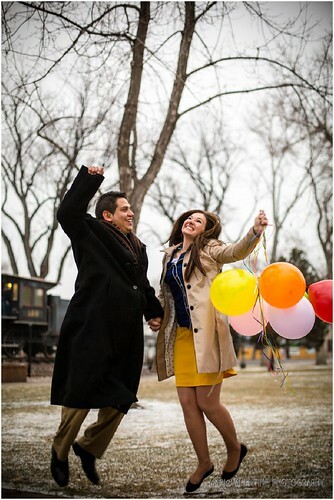 Even the crazy cold and wind couldn't keep these two from their engagement session. Jenny even brought balloons and some great clothes. These two are so fun. They made the best out of everything on that cold and overcast day. Faith is central to these two. 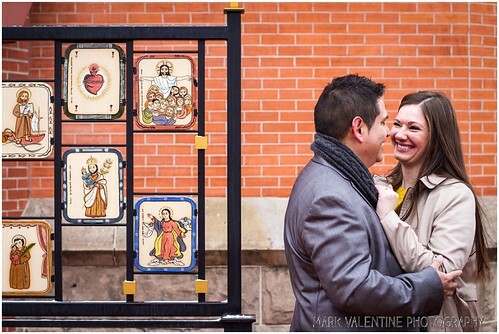 No question so we started their session at St. Mary Cathedral. We had a blast while we were there and quickly hopped back in the car to warm up. So fun. They brought so much energy. You can't even tell that it was only 19 degrees out there that day. I found out that Ruben and I run in some of the same circles. We both have ties to the St. Patrick Life Teen program! 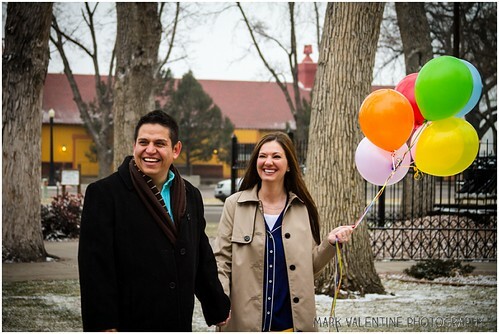 We headed to Antlers Park for some balloons and more endless love between these two! For a little change of pace we headed under the nearby bridge. Ruben surprised us all with his shirt! It was seriously cold and we had to hop in cars every 20 minutes or so. As we were leaving the bridge Jenny and Ruben spotted this little scene. They have quite the eye. 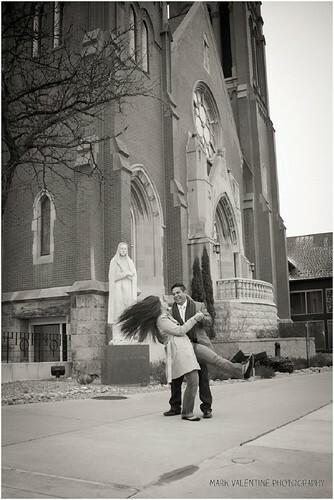 One of the benefits of shooting the engagement photographs of a graphic designer. Ruben is a big soccer fan and he just happened to have his favorite teams jersey on hand when we came across one of their rivals! You two were spectacular and it couldn't have been easier to capture how happy you are when you are together. 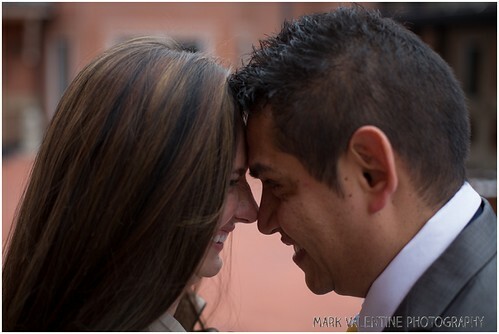 I am excited to shoot your wedding in about a month! Jenny and my wife went to college together and met through FOCUS. It is amazing how the little everyday stories end up weaving together. 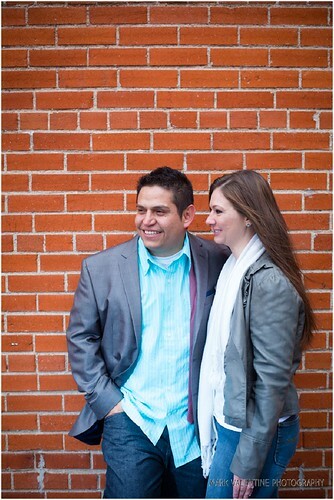 A big thank you to my wife for coming along for the engagement session and who will be shooting the wedding with me!